Dirty bombs, Zika virus, and biosecurity in Iraq? That’s just a taste of the biodefense news we’ve got in store for you this week. While norovirus hits the East Coast (thanks, oysters!) and an additional three cases were confirmed in the seven-month-long Listeria outbreak associated with Dole salads, it’s no wonder there’s been work to build a new US food safety system. Next month the CDC will be working with state and local officials to establish plans in the most hard-hit Zika areas. The House Committee on Homeland Security’s Emergency Preparedness, Response, and Communications Subcommittee held a hearing on Friday in which they discussed and reviewed the risk of agroterrorism or natural agro-disasters. Disruption to the agriculture infrastructure and economy could be devastating to the US. Regardless if it’s private or public sectors, preparedness is vital to reduce calamitous damage. “US food and agriculture accounts for roughly one-fifth of the nation’s economic activity, contributed $835 billion to the US gross domestic product in 2014, and is responsible for one out of every 12 US jobs, according to Subcommittee Chairman Martha McSally (R-AZ).” Consider the impact of bovine spongiform encephalopathy (BSE) or Highly Pathogenic Avian Influenza (HPAI) on their respective sectors and country economies. Some of the highlighted vulnerabilities and challenges were insufficient quantity of Foot and Mouth Disease (FMD) vaccine, gaps in US biosecurity, traceability, gaps in detection, data sharing for regulated disease, and more. GMU Biodefense director and professor, Dr. Gregory Koblentz, and Mahdi al-Jewari, director of the biology department for the Iraqi National Monitoring Authority in the Iraq Ministry of Science of Technology, have joined together to discuss the furthering of Iraqi biosecurity. Mahdi al-Jewari visited GMU in early 2015 to speak on global biorisk management, hosted by the GMU School of Policy, Government, and International Affairs. In their research, Dr. Koblentz and Mr. al-Jewari discuss Iraq’s implementation of its non-proliferation commitments, highlighting that since 2004 “Iraq has taken a series of practical steps to implement its obligations under international non-proliferation treaties to prevent the proliferation of weapons of mass destruction and their means of delivery to states and non-state actors.” The Iraqi National Monitoring Authority, established in 2012, strives to strengthen their biosecurity program through three primary functions: compliance, monitoring of dual-use materials, and capacity building. The National Biorisk Management System has also highlighted four priorities to “counter biological threats: establishing a national pathogen list, building laboratory capacity, developing the capability to conduct joint law enforcement–public health investigations, and establishing a biorisk management law. 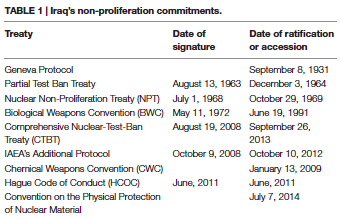 The NBMC has established sub-committees charged with developing new policies and programs to achieve these four objectives.” While sustainability will be the most challenging hurdle for Iraq, commitment to investments in infrastructure, IT, biosecurity, and biosurveillance systems can help them overcome these difficulties. Just How Far Down the Zika Rabbit Hole Are We So Far? It seems like every week we’re learning new things about Zika virus and how much work needs to be done. I wonder, how far have we made it down the rabbit hole for Zika and how much more do we have to go? While the Aedes mosquito is the reigning king of Zika virus infections, what about animals? The CDC recently released information regarding the concerns over zoonotic cases. Originally discovered in a monkey in the Zika Forest in 1940’s Uganda , the CDC maintains that “at this time, animals do not appear to be involved in the spread” and that there is no evidence of zoonotic transmission. “Nonhuman primates (apes and monkeys) have shown the ability to become infected with Zika virus; but, only a few naturally and experimentally infected monkeys and apes have had any signs of illness at all, and then it was only a mild, transient fever without any other symptoms.” As international public health teams descend upon the outbreak regions, we will surely be learning more about this outbreak. Perhaps the most challenging issue is the dissemination of information, especially in regions of high transmission. University of Arizona Mel & Enid Zuckerman College of Public Health infectious disease professor, Dr. Kacey Ernst, is one of the top vector-borne researchers and she recently explained: “The Zika virus pandemic, thought to be primarily caused by transmission of the virus through Ae. aegypti requires urgent action to determine the role of the virus in neurological sequalea, including microcephaly as well as the relative transmission potential of Ae. albopictus. Given the important role of communities in preventing the proliferation of the peridomestic, anthropophilic Ae. aegypti, communication between the scientific communities and the public must be heightened to ensure timely dissemination of surveillance information. While much of the United States is currently too cold to allow high densities of the primary vector of Zika virus, Ae. aegypti, the growing evidence surrounding the role of sexual transmission in the spread of Zika could imply that outbreaks of disease are possible even when transmission by the mosquito is not. More research is needed to delineate the two modes of transmission and the role that sexual transmission may be playing in the explosive spread of Zika across Latin America and the Caribbean.” In more Zika updates, blood samples from French Polynesia patients with Guillain-Barré syndrome (GBS) during their Zika virus outbreak are revealing the first look into the reality that Zika may actually cause GBS. The CDC is also urging pregnant women to avoid the summer Olympics in Brazil due to the outbreak. The FDA also just issued their Emergency Use Authorization for a Zika diagnostic tool for qualified countries. As of March 2nd, the CDC has reported 153 travel-associated Zika virus cases within the US. David Ropeik from Scientific American discusses the impact that poor education and fear regarding dirty bombs can pose during an emergency. “The prospect of such a bomb seems terrifying, but anyone who knows the basic science of radiation biology knows that it wouldn’t cause much health damage, because the dose of radioactivity to which most people might be exposed would be very low. And experts know, based on the 65 year Life Span Study of the survivors of atomic bomb explosions in Japan, that even at extraordinarily high doses, ionizing radiation only raises lifetime cancer mortality rates a little bit—just two thirds of one percent for survivors who were within three kilometers of ground zero.” Few people know that low doses from a dirty bomb exposure pose little (not zero, but minimal) health risks, but rather people tend to hear “radioactive” or “nuclear radiation” and run screaming to the hills like a zombie hoard is approaching. While Ropeik points out that there will of course be devastation and economic damage, the resulting stress, fear, and public outcry for retaliation can be just as damaging. So what can we do? He points to the US Nuclear Regulatory Commission (NRC) and CDC educational sites, but emphasizes that in the end, a communication campaign to combat fear would “take at least some power of a dirty bomb to terrorize us out of the hands of the terrorists”. Biosurviellance Ecosystem- The DoD and DHS are currently working on a new system that would allow epidemiologists to “scan the planet for anomalies in human and animal disease prevalence, warn of coming pandemics, and protect warfighters and others worldwide.” The Biosurveillance Ecosystem (BSVE) is a brain child that would allow epidemiologists to customize and collaborate – better yet, it’s being developed using open-source software and works “as a dashboard-like service from the cloud, accessible through an Internet browser”. Select Agent Guidance– The Federal Select Agent Program (FSAP) is asking for community members to submit comments regarding the Guidance for Nonviable Select Agents and Nonfunctional Select Toxins. If you’re a member of the regulated community, help the FSAP become more transparent and strengthen biosecurity efforts! Comments will be accepted through March 14, 2016. TGIF! We hope you had a lovely week while avoiding RAW Meal Organic Shake and Meal Replacement products. The FDA recently reported an outbreak of Salmonella Virchow linked to the moringa powder within these products. 11 people across nine states were impacted by the outbreak, leading to an expanded recall due to the contamination. In this week’s Pandora Report, we’re covering Zika virus, CRISPR, GMU’s Biodefense Open House, ISIS use of chemical weapons, and much more. Before we begin, you’ll be happy to hear that as of today, airline passengers flying from Guinea to the US will no longer have to fly through designated airports and undergo screening for Ebola. The WHO just released their Zika Strategic Response Framework & Joint Operations Plan for January-June 2016. Within the report, readers can find a timeline of the outbreak, a current situation report (sitrep) and the three objectives, which include surveillance, response, and research. Response strategies include community engagement, control efforts for the Aedes mosquito, and efforts to support and guide “the potential impact on women of childbearing age and those who are pregnant, as well as families with children affected by Zika virus.” The WHO estimates that the community engagement components requires $15.4 million, 10 partners, and will involve public health risk communication, community engagement, and health care personnel. Overall, the WHO estimates that to “kickstart” the international response, it will take $56 million. Fortunately, the World Bank announced it’s commitment of $150 million to combat the growing epidemic. The FDA just released blood donation recommendations related to the outbreak to mitigate risk of contamination. They are recommending that “those at risk of having been infected with the Zika virus should not donate blood for four weeks. These include those who have had Zika virus symptoms or sexual contact with people who have traveled to countries known to have ongoing transmissions.” According to the CDC, as of February 10th, there have been 52 travel-associated Zika virus associated cases in the US. On Thursday, Pope Francis suggested that women could justifiably use contraception to avoid pregnancy in Zika affected countries. Upcoming Events: SPGIA Master’s Open House and Biodefense Seminar! Interested in furthering your education and getting to study topics like bioweapons, disease outbreaks, and terrorism? Check out the GMU Master’s Open House on Thursday, February 25th, 6:30pm at our Arlington Campus in Founder’s Hall, Room 126. Dr. Koblentz, GMU biodefense program director and one of our amazing professors, will also be holding an informational session at 7pm. You can even virtually attend if you’re looking to get more details on the biodefense graduate program and what kinds of adventures it entails. 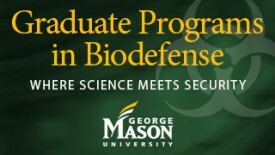 Once you’ve gotten your feet wet by attending one of the Open Houses, try our Biodefense Course Sampler on Wednesday, March 2nd, at 7pm in Founders Hall (GMU Arlington Campus), room 502. Dr. Koblentz will be hosting the event to discuss the unique challenges the US faces when it comes to global health security. Ranging from biosafety to natural disasters, and even zombies, this is a great way to get a taste of the GMU Biodefense program! Make sure to RSVP though, since space is limited. GMU’s School of Policy, Government, and International Affairs will be hosting this engaging and informational workshop on March 3, 2016 (8:45am-4:45pm), at our Arlington campus, in Founders Hall 111 and 1113. The keynote address will be from Dr. Nancy Lee, director of the Office of Women’s Health in the Department of Health and Human Services. Panels will discuss contraception and prenatal care, violence against women, dealing with disease, cross border concerns, and the role of gender disparities in women’s health outcomes. Lunch will be provided and while this event is free and open to the public, you’ll need to register here. The US Government Accountability Office (GAO) recently published their findings regarding the Department of Homeland Security’s (DHS) biosurveillance efforts, specifically the National Biosurveillance Integration Center (NBIC) and the BioWatch program. Initial findings in 2009 found that NBIC wasn’t “fully equipped to carry out its mission because it lacked key resources—data and personnel—from its partner agencies, which may have been at least partially the result of collaboration challenges it faced.” Recommendations were made and then in August 2012, NBIC released its Strategic Plan in response to the deficiencies, of which focal points included clarification of its mission and efforts to fulfill its roles of analyzer, coordinator, and innovator. Since 2012 though, GAO has noted several challenges DHS has faced in attempts to justify the BioWatch program. In 2015, “GAO found that DHS lacks reliable information about the current system’s technical capabilities to detect a biological attack, in part because in the 12 years since BioWatch’s initial deployment, DHS has not developed technical performance requirements for the system. GAO reported in September 2015 that DHS commissioned tests of the current system’s technical performance characteristics, but without performance requirements, DHS cannot interpret the test results and draw conclusions about the system’s ability to detect attacks.” Based off their findings, GAO recommended DHS not pursue the upgrades it was considering to the program. Some of the changes NBIC will be pursuing include its modification to the Daily Monitoring List and better integration of projections and forecasts. You can find the report here, which also includes a table regarding benefits and challenges for structural changes within NBIC. Coincidentally, there was a webinar this week on “Defending Against Bioterror with Improved BioWatch Standards”. During the webinar, the presenters (Dr. Georges Benjamin and Dr. Bruce Budowle) emphasized that BioWatch is an integrated system that “needs to be used with care and caution, but it’s really a marvelous piece of technology.” They also spent time discussing how PCR results may pose problematic for end users and how BioWatch “is a good investment that should continue”. The 2014 outbreak left untold damages upon the affected countries. Unfortunately, mental health is one that may have gone unnoticed. While doctors and nurses raced to respond to the outbreak, the response to mental health was given little thought. Fighters in the Ebola battle are now fighting personal struggles with alcoholism, depression, and drug addiction. In countries that have even fewer mental health professionals than medical doctors, many are in desperate need. Some of these include young men that signed up to bury the bodies of Ebola patients in the grassy mud within Liberia. Drew Hinshaw discusses how these “burial boys” found themselves digging graves for their own children and are now left struggling to find work and are suffering from severe PTSD and the emotional effects of such an ordeal. “Liberia has just one psychiatrist for a population of four million, according to the health ministry. Sierra Leone, home to seven million, also has only one. The mental-health wing of the Liberian health ministry has just two staffers on payroll.” The truth is simple- the impact of an outbreak of this magnitude, especially within impoverished countries, has rippling effects that go on for years. Perhaps future outbreak response and preparedness models should include mental health support during and following the outbreak? UK Parliament Report – Lesson Learned from Ebola – The UK Parliament has released their findings on the 2014 Ebola outbreak and the UK’s response efforts. Pointing to the necessity of strong and reliable communication, they emphasized that research must be started swiftly during such events. “The willingness of Government agencies, third sector organisations, health and aid workers, universities, and pharmaceutical companies to go above and beyond to help tackle the outbreak was phenomenal. The swift pace at which clinical trials were approved and conducted particularly stood out.” For updates on the outbreak, you can see the WHO sitrep here. MERS-CoV Updates – A new report from Emerging Infectious Diseases discusses the infection of alpacas in a region where MERS-CoV is endemic. Given the susceptibility of alpacas, this could broaden the geographical distribution of potential cases. Walter Reed Army Institute of Research (WRAIR) has started a Phase 1 clinical trial (the first to be tested in humans) for a MERS-CoV vaccine. This week we look at a report that claims DHS is not prepared for a pandemic and information about Chemical Weapons in Syria, still. We also have an Ebola update, and if you’re interested in learning more about the West African outbreak, join us Wednesday for our September Biodefense Policy Seminar! 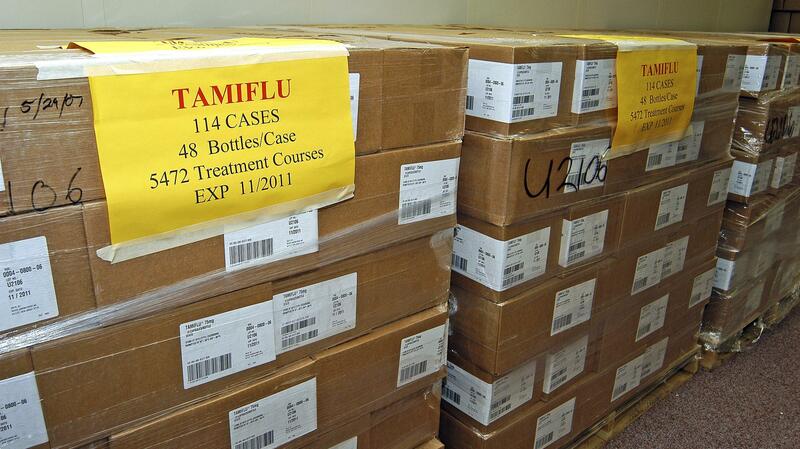 In a recently released report, the Office of the Inspector General claims that “the Department of Homeland Security may not be able to provide sufficient pandemic preparedness supplies to its employees to continue operations during a pandemic.” DHS, however, has disagreed with much of the report claiming it misrepresents the agency’s preparedness for an outbreak. Another American Ebola patient was sent to Emory University in Atlanta for treatment and American Ebola survivor Dr. Kent Brantly donated blood to the American patient, Dr. Rick Sacra, who is being treated in Nebraska. The thought is that Dr. Brantly’s blood will help confer passive immunity to Dr. Sacra. On last Sunday’s Meet the Press, President Obama pledged U.S. military assistance in setting up isolation units and providing security for health workers in West Africa but House Republicans indicated they would provide less than half of the White House’s requested funding for fighting Ebola. The Bill and Melinda Gates Foundations has pledged to contribute $50 million to support emergency efforts to contain the outbreak in West Africa. There were reports this week of a U.S. air marshal who was injected with a syringe at the Lagos Airport in Nigeria. Though it appears that the syringe was not infected with Ebola, it has caused fears that Ebola could be used as a weapon. 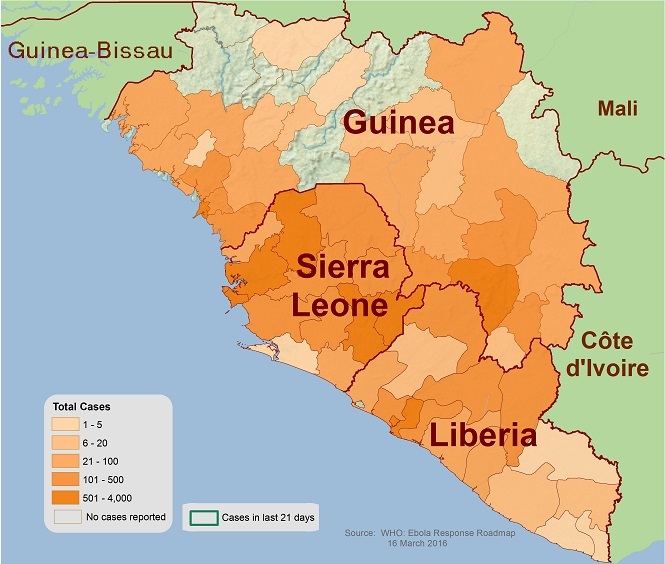 All of this comes at a time when disease modelers at Northeastern University predict that as many as 10,000 cases of Ebola could be detected by the end of the month and there have been 60 cases resulting in 35 deaths from the Ebola outbreak in Congo.